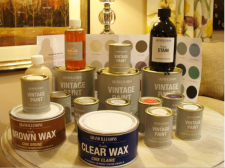 With a Nordic-French pallette this eco-friendly paint is chalky and matt in appearance and is perfect for furniture,walls,floors and paint effects. 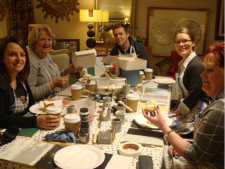 A practical course offering tuition runs on the last Saturday of the month, providing the perfect opportunity to learn and practise painting techniques. The course is from 10am - 1pm for small groups of six and includes all equipment and refreshments. 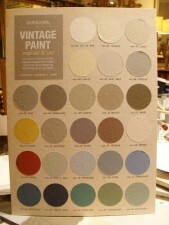 All Chalk paints and Accessories are available to purchase in store. Anyone attending the course will receive a 10% discount off first purchase of related products.